Barclay Gallup Home & Garden is a foliar applied total herbicide to control annual and perennial grass and weeds. 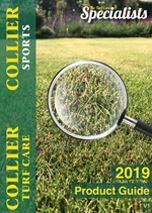 Gallup Home & Garden contains 360g/ltr of Glyphosate and it is inactivated on contact with the soil and is broken down by soil organisms to leave no lasting residue affects, allowing replanting in the area it has been applied after the weed has desiccated. Children & pets need not be excluded from treated areas once the spray has dried. It is exclusively for use in domestic garden areas only and not approved for professional areas.